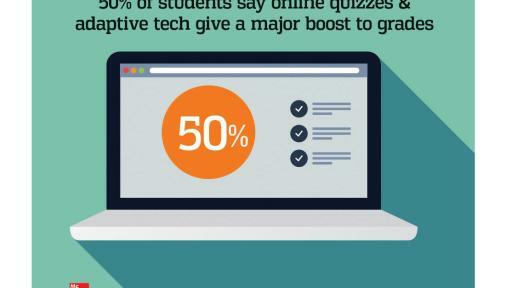 As the class of 2020 starts its freshman year of college, students are increasingly looking to get maximum value out of their higher education experience, and they view digital learning technology as a key tool for achieving that success, a new survey of college students in associates, bachelors and graduate programs shows. Today, learning science company McGraw-Hill Education released the findings of its 2016 Digital Study Trends Survey, the latest edition of an annual report fielded by Hanover Research. 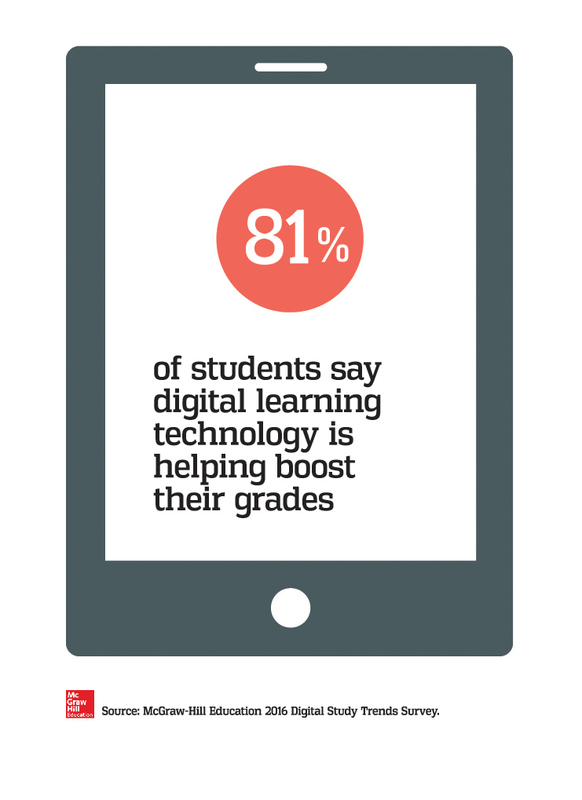 The report shows that four out of five (81 percent) college students find digital learning technology to be helpful in improving their grades, and more than two-thirds (69 percent) feel that digital learning technology helps them to focus. 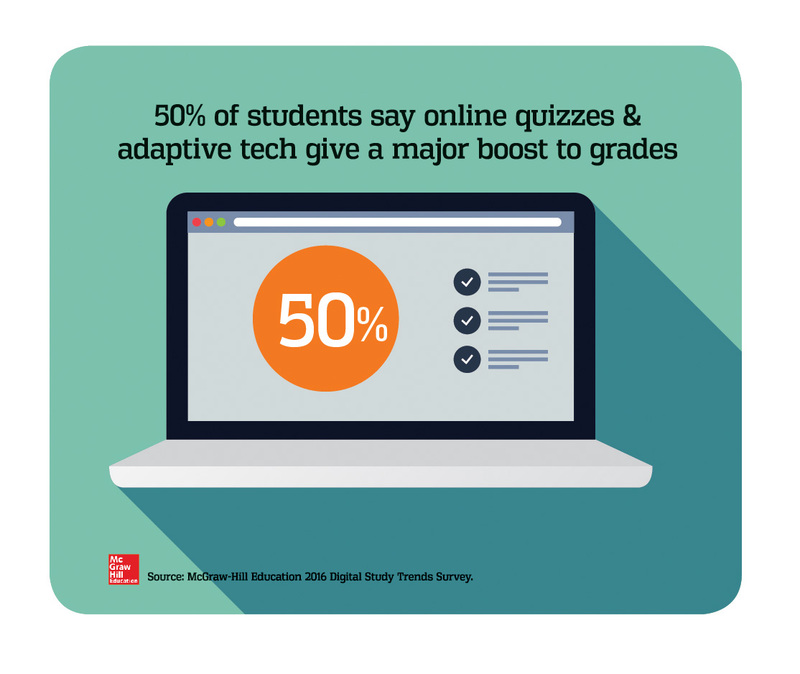 Adaptive learning technology and online quizzes are seen to be the most impactful, with half of students who have used them reporting that they have a “major effect” on their grades. 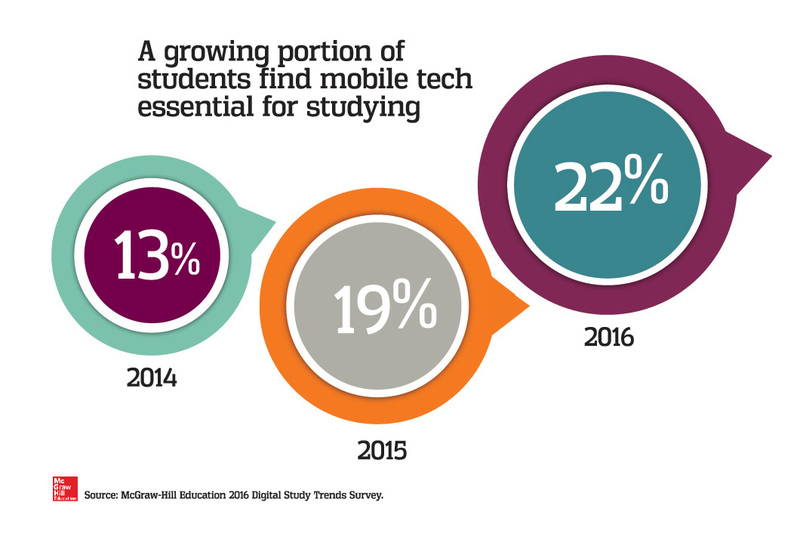 To download and read the full report, visit www.mheducation.com/studytrends. 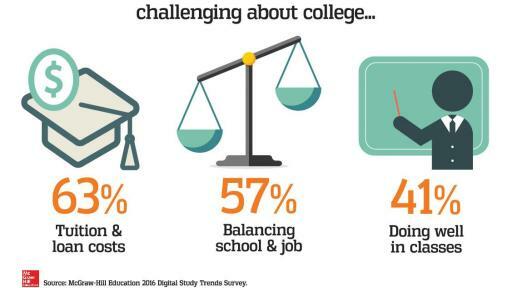 Forty-three percent of students say college is harder than they expected – and those students who found it harder are more likely to give their college a grade of C – F on how well they provide opportunities for using digital learning technology. Seventy-nine percent of students report that digital learning technology helps their professors and teaching assistants to be more efficient and effective in teaching classes. 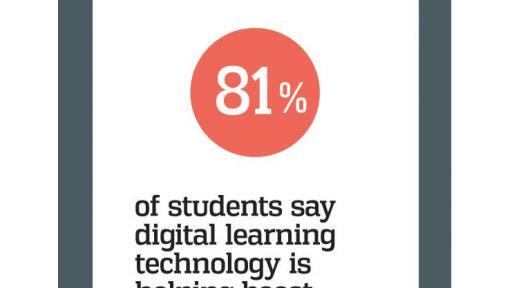 However, 84 percent of students feel that there are still ways that they could be using digital learning technology to make their education better, and 79 percent feel that there are still ways that their university and teaching staff could be using digital learning technology to make their education better. 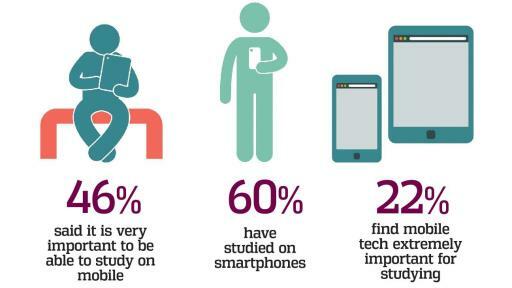 Eighty-eight percent of college students report finding their smartphones helpful to their studies. 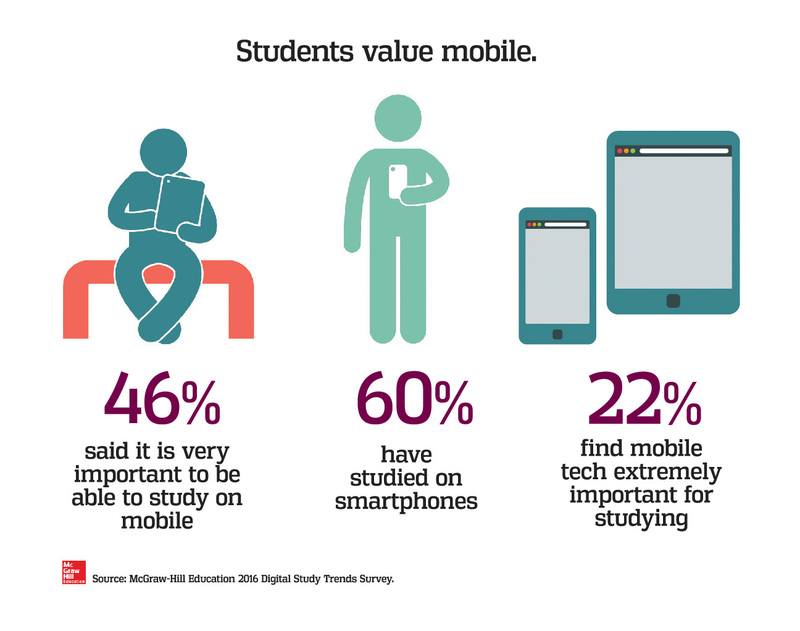 More than two-thirds of students (70 percent) feel it is at least moderately important to be able to study on mobile electronic devices, and almost a quarter (22 percent) feel it is “extremely important,” a significant increase from 2015 (19 percent) and 2014 (13 percent). Still, there is room for improvement: 45 percent of students report having encountered problems integrating digital learning technology with their personal devices. 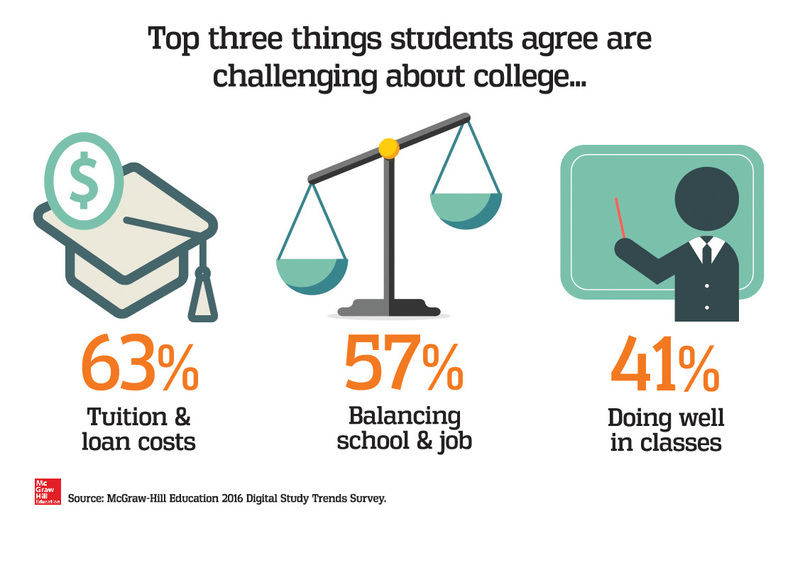 McGraw-Hill Education's report, the 2016 Digital Study Trends Survey, collected responses from 3,311 college students aged 18+ who are currently enrolled in higher education institutions across the United States. Respondents were from a mix of majors and grade levels, ranging from freshmen to PhD students. In all, 2,780 of the students were selected from among a group of students who have previously used McGraw-Hill Education's technology in their coursework, while the remaining 531 were selected from outside this group.